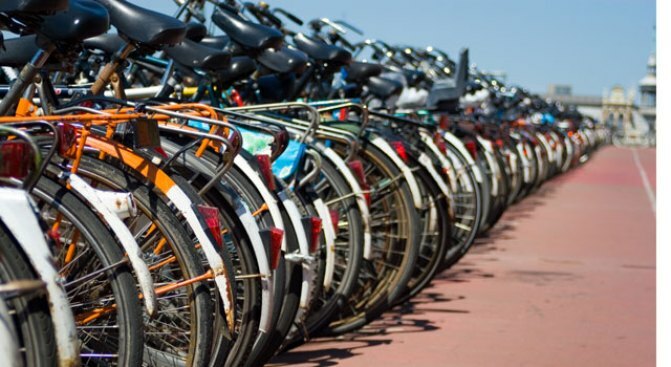 The more bikes in a row, the less likely it is that your specific one will be stolen. Friday means a sweaty day of biking to work, but Saturday is all about a party at the Black Cat ($10, 9 p.m.-midnight). The Washington Area Bicyclist Association will be setting up extra mike racks outside the venue -- which means no, you don't actually get to dance with your bike. We know you're just crushed. Console yourself with DJs spinning all night long, raffle prizes -- e.g., a SWOBO Folsom bike -- and a photo booth (remember, if an event these days doesn't have one, it's not worth your time). Plus, Bike Prom King and Queen will be crowned before the night's out. The theme of Bike Prom this year is "Wheeling Through Time," which means they actually want you to dress in clothes from your fave time period. Ehh, just hit up American Apparel and say your favorite year was 1983. Problem solved.